Dragon Ball Super saw the return of the beloved Dragon Ball franchise. With it came new adventures for Goku, Vegeta, and the rest of the Z fighters. Following the conclusion of DBS, everyone knew that there was more to come from this franchise. DBS was never the series with innovative ideas, so it makes sense that this movie is called Dragon Ball Super: Broly. Broly was a fan favorite that was featured in three of the older DBZ movies. Despite his popularity, he was never introduced into DBZ’s canon. This is a chance to right that wrong while capitalizing on the franchise’s re-surging popularity. 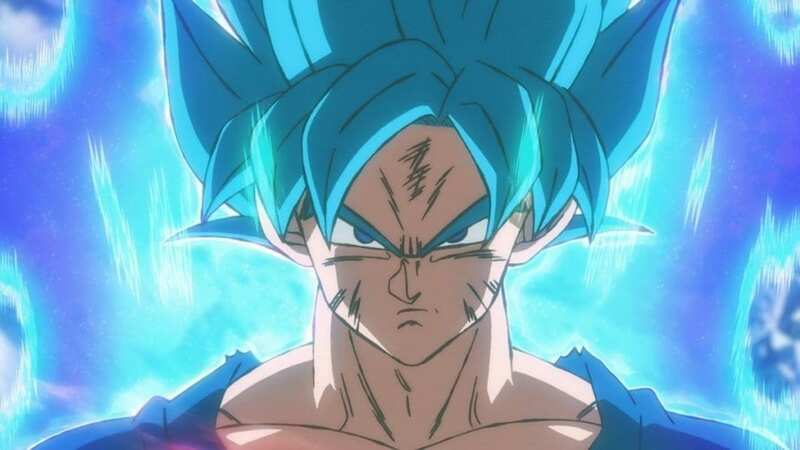 In many ways, Dragon Ball Super: Broly is a shining example of why this franchise is still so popular over 30 years after its release. Sadly, it’s also a reminder of the show’s glaring issues. Dragon Ball Super: Broly begins a lot differently than I thought it would. I’ve always been curious about Saiyan culture outside of the brief explanations we’ve gotten. Starting the film with a flashback to when the Saiyans were still alive adds more context to their political structure and their overall culture. There is a surprising amount of time spent in this flashback, which allows us to understand Broly’s origin. I really appreciate that we get to spend more time with Bardock too. He’s a compelling character that definitely deserves to be explored more than he already has. 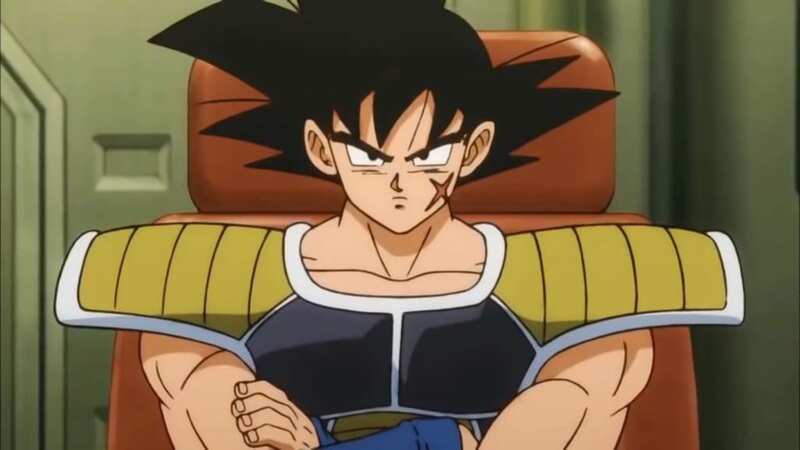 We see that his personality makes him a lot different from other Saiyans, and he gets a few introspective moments that add weight to his eventual death. It’s after this opening to the film that I’m reminded of the problems I have with DBZ. As soon as Dragon Ball Super: Broly picks up in the present day, I quickly realized that there wasn’t much of a story here at all. We all know that whatever happens will build up to a fight against Broly, but there’s really no effort to smoothly transition into it. There is a plotline involving the dragon balls that is really stupid. Bulma is trying to gather them so she can look younger, while Frieza is trying to gather them so he can be a bit taller. It’s clear they just wanted a way to get everyone in the same place. Luckily, this setup doesn’t take too long to develop, and we’re quickly thrown into the fight. I have to admit that I was taken by surprise that the fight between Vegeta, Goku, and Broly is about half of the movie. This makes it feel like Dragon Ball Super: Broly is completely missing a second act, but the audience gets more of what they likely came to see. The fight is fantastic; this is easily the most visually appealing Dragon Ball fight in the entire franchise. A lot of my problems with so many of DBZ’s action sequences are addressed in a way that this makes this a complete joy to watch. Director Tatsuya Nagamine deserves a lot of credit for the success of Dragon Ball Super: Broly. He creates visually dynamic camera shots during the fight that make everything fluid. He makes it a point to try and not be repetitive with the way action is shot. At one point, he even switches to a beautiful POV shot where we can see the characters flying and tossing ki blasts. It looks like he wanted to capture this fight from every angle and perspective he possibly could, and it’s safe to say he was successful. Broly’s name is in the title, so it’s safe to say that he’s the focal point of the story. This version of Broly is a lot more enjoyable than the previous version because his motivations are fleshed out better. Broly isn’t a villain at all; he’s a guy with incredible latent power that was forced to survive on a hostile planet. He doesn’t understand societal conventions, so he can be rough around the edges. Underneath that very tough exterior is a person who isn’t evil. The entire movie shows him being manipulated for his power, whether it be by his father or by Frieza. He’s a sympathetic character that the audience can marvel at while still feeling sorry for him. I did not like Goku in Dragon Ball Super: Broly at all. In DBS he’s become a more idiotic version of himself. He’s also completely detached from his Saiyan lineage, which is what this movie is rooted in. He doesn’t have anything substantial to contribute to the story, and we’re constantly reminded of that. Frieza only has a presence because Goku decided to revive him in the DBS series. This shows exactly how detached he is from being a Saiyan. Frieza enslaved and committed genocide on the Saiyans, and that is the guy you decided to bring back? Vegeta questions that decision in the movie, but it’s played off as a joke instead of a serious criticism. This is the best Dragon Ball Super has ever looked. It’s a much different art style than the one used in the series, and it works better for the action. They managed to keep up this level of animation for the majority of the fight. When they want to show off the animation quality, Dragon Ball Super: Broly is gorgeous. Some of the animation before the fight isn’t the best, though. There are also a few CG spaceships that look hideous. The dub cast brings a lot of the iconic voices back. This includes Vic Mignogna, who played the original Broly character. I honestly loved his performance. Screaming is a big part of Dragon Ball, and he does it brilliantly. Broly is such an emotional character that you can hear the pain in his screams when he’s powering up. The rest of the cast keep up their usual high standard of quality as well. Dragon Ball Super: Broly is an entertaining movie that highlights some of the best qualities of the franchise. The big fight is worth the price of admission on its own. This is the best that DBS ever looked, despite some mild inconsistencies. I love how they delve a bit deeper into the lore of the Saiyans and how Frieza impacted them. Broly is a good character that I hope they do more with in the future; right now, he’s more of a blank canvas that can go in any number of directions. If you’re a fan of DBS, then go watch and support this movie. Dragon Ball Super: Broly is a solid entry in the Dragon Ball franchise. The iconic characters are put front and center, backed by quality animation and inspired fight choreography.